Have you seen increases in shipping rates? 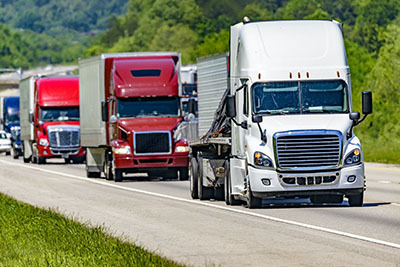 With a shortage of drivers, new regulations, and ever-increasing demand, the trucking industry is taking a hit in more ways than one. From high trucking rates and driver shortages to bottlenecks and inventory concerns, it’s time to consider all the options for your freight needs. MJS Packaging is here to help. MJS Packaging has outlined the five important industry updates that you can’t afford to miss. Higher trucking rates won’t subside anytime soon. According to a June 2018 issue of the Kiplinger Letter, surging shipping demand has driven spot market rates anywhere from 25% to 30% above 2017 levels. Contract rates are also 10% to 12% higher. While it’s predicted that rate hikes will moderate by year-end, rates are not predicted to decline until sometime in 2019. Due to a pickup in manufacturing, the prices of flatbed trucks have jumped the most since they often haul raw materials and heavy equipment. Trucking firms are continuing to battle a severe driver shortage. In conjunction with an overall rough lifestyle, this shortage is made worse by high turnover of long-haul truckers and compounded regulations that limit drivers’ on-duty hours. 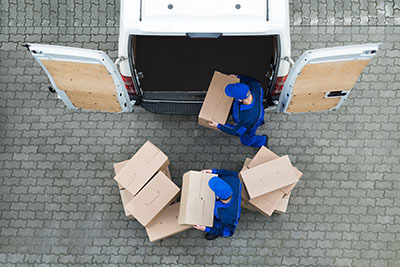 Carriers are scrambling to improve efficiency and cut down on wasted time, requiring earlier notice from customers and trailer drop-off instead of unloading. Shipping bottlenecks are sparking changes at manufacturers and retailers. For years, manufacturers have reduced inventory costs using just-in-time deliveries to fit their production process. Big retailers have required a narrow delivery window. Sending and receiving shipments shouldn’t have to be stressful. Our packaging solutions specialists are ready to assist you with a smile. Firms will likely end up having to hold more inventory than was normal in the past. Carriers will increasingly turn down business that’s not cost-effective and require a range of dock times, or they’ll charge more for tight delivery guarantees. Sending and receiving shipments doesn’t have to be stressful. MJS Packaging has preferred rates in many lanes that can help ease the cost of these changing industry rates. Give us a call today to see how we can help alleviate your shipping concerns. Our knowledgeable packaging solutions specialists are ready to assist you with a smile.